The Dell XPS 15 (L501X) was initially released in October 2010 which can be customized up to the first generation of Intel Core i7 processor, 8GB of DDR 3 memory, and dedicated NVIDIA GT 435M graphic card. In 2016, the Dell XPS 15 is still the ultra-book that packs better design, performance, and a lot more features. The latest XPS 15 (9550) features the world’s first InfinityEdge display with a powerful Skylake quad-core processors ( 8 threads). To protect and to make your Dell XPS 15 as a workstation or become even more powerful and efficient, we would like you to check out the following accessories. 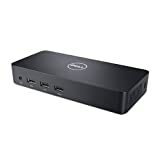 The Dell Universal Dock comes with 1 x DisplayPort, 2 x HDMI port, 3 x USB 3.0, 2 x USB 2.0, 1 x Gigabit Ethernet port, headphone, audio out and a lock slot. This dock also bundled with an HDMI to DVI adapter and a 2 feet USB 3.0 cable for connecting to your laptop. Supported Models: L501X (2010), L502X (2011), L511Z (2011), and 9530-9550 (2013-2015) and other USB 3.0 supported laptops. 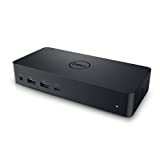 Alternatively, for the Dell XPS 15 (9550) you can check out this Dell USB Type-C docking station. It is faster than the USB 3.0 docking station above for your XPS 15 (9550). When you connecting your Dell XPS 15 to monitors, you might need to adjust height and distance of your laptop screen to the same as the monitor screen. A pair of wireless mouse and keyboard will let your working scenario a lot easier. You can place the mouse and keyboard to the middle of all display for better typing experience. 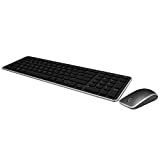 This pair of the wireless full keyboard (including a number pad) and wireless mouse are slim and look great with your Dell XPS 1t. Both of them can be connected to your laptop by using only a single wireless USB receiver. 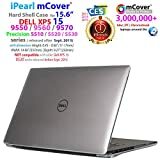 For those who are frequently working on the go, this Dell Power Companion is a great friend for your Dell XPS 15 laptop. 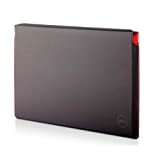 It has a slim and lightweight design so you can put it along with your laptop in a bag without much extra weight. The Dell Power Companion available in two capacity options 12,000mAh and 18,000 mAh. You can charge this power bank by using your Dell XPS 15’s power adapter. Lastly, this power companion also compatible with most Dell laptop product lines including Alienware, Chromebook, Inspiron, Latitude, Precision, Studio, Venue, Vostro and XPS. 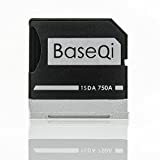 This BASEQI Aluminum MicroSD Adapter is made specifically for the Dell XPS 15. This adapter allows you to use any microSD card with your Dell’s laptop. It has the same color and aluminum designed just as your XPS 15. With this adapter, you can add up to 256GB of extra space to your device. While it is completely hidden and fit the card slot without sticking out. By inserting an extra MicroSD, you can expand more storage of your Dell XPS 15 or you can use it for data backup. Your laptop can work with standard microSD card formats including microSD, microSDHC, and microSDXC. This Sandisk MicroSD features a class 10 speed rating as it can support faster data transfer speed up to 90MB/s great for playing 4K videos. This Sandisk MicroSD has great protection with waterproof, temperature proof, shockproof, X-ray proof and magnet proof. It will add an extra 200 GB of storage to your device. If you want a case that can protect your Dell XPS 15 anytime, this is the stuff you need to rely upon. This iPearl mCover hardshell case will protect your laptop anytime because you don’t need to detach the case while you are using it. This Dell XPS 15 clear hard shell case made of a durable USA-made translucent DOW polycarbonate material which is shatter-proof that can protect your device all around. The 15.6 inches on the Dell XPS 15 is so much beautiful. To maintain this beautiful screen for a long last, you will need a strong screen protector. This It3 anti-glare screen protector is specifically designed for Dell XPS 15. It will protect your device’s screen from scratches, bubble free, significantly reduces dust, oil and fingerprint smudges etc. Another great thing about for this screen protector is that it can reduce UV rays that caused by reflected light. As this purchase will give you 2 pieces of the screen protector, so you will enjoy longer protection on one purchase. Those are the top best Dell XPS 15 accessories so far. 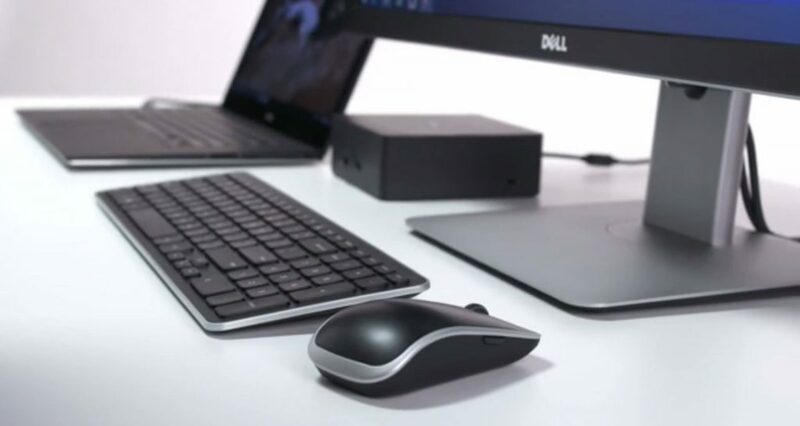 By using the Dell triple display universal dock and Dell KM714 Wireless Keyboard & Mouse Combo will instantly transform your Dell XPS 15 to a full function workstation. While case and screen protector will keep your XPS 15 device last longer and still beautiful when you need it.